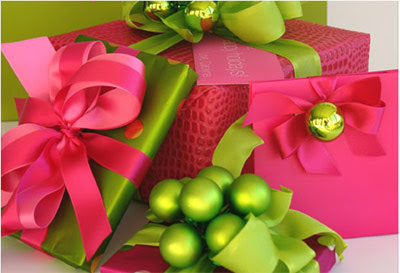 A beautifully wrapped gift with a gorgeous presentation means just as much as whatever surprise is inside the box. 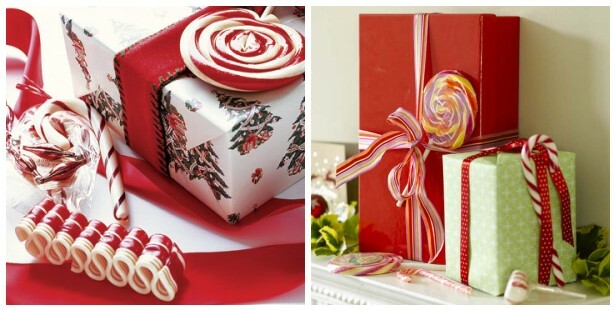 Give a gift that just begs to be adored both while it is wrapped and unwrapped. 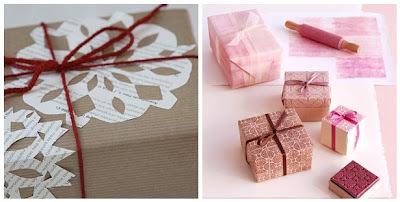 A fun way to adorn a package is to include a sweet treat. Ribbon candy, candy canes, lollipops or stick candy all look gorgeous when attached to a ribbon on a gift. Play with the color of the candy to coordinate with the paper or use the candy to add a bright splash of color to a solid or neutral tone. Are you crafty or do you need an activity to entertain children at home? 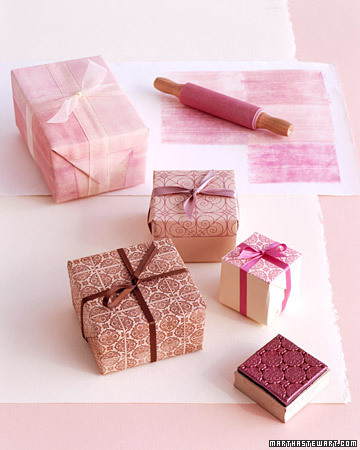 Even the littlest ones at your house can help cut snowflakes or stamp plain paper for beautifully wrapped gifts. Grandparents will particularly appreciate gifts are also works of art. Of course, I saved the best for last! How could I write about gorgeous wrapping paper without including beautifully wrapped gifts in pink and green? What is a unique way that you have decorated or wrapped a gift? I'd love to hear your ideas or see pictures of gifts you have wrapped. P.S. 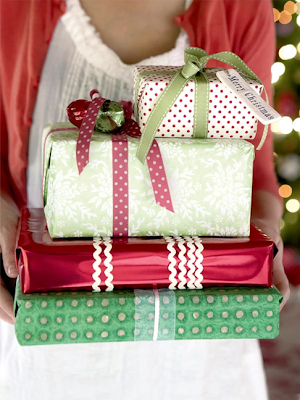 Just in case you're running out of time, there are quite a few places that offer beautifully wrapped gifts. Neiman Marcus does a beautiful job of wrapping gifts in a signature box that includes pretty ribbon and an ornament. Oh, how Iove this post, Bethany! (especially those p&g gifts!). Give wrapping is one of my favorite things to do! The bf's mother puts me to shame in the gift wrapping department. She uses the most beautiful boxes and gorgeous containers and wrapping every year. The gifts under the Christmas tree could be for a catalog shoot! I have to admit I am a terrible wrapper. I am lucky just to make the wrapping part look decent. This year for friends I have used cell-o and shred for their gifts. I have have bows of coordinating grosgrain or wired ribbons to adorn them. I made ALL of my own tags using my cricut and scrapbook paper.....tres' fun! I am just like you with the cricut! :) Oh and all of my daugter's stocking stuffers are little cell-o puff balls with bows! Fun Fun Fun!